Helps create a more even distribution of pressure with the hollow mouth. 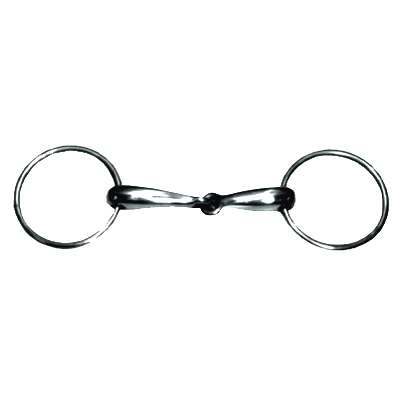 The joint creates a snapping action with the rings and mouthpiece. The loose rings allow motion of the mouthpiece on the bit, usually providing relaxation for the jaw and increases chewing of the bit. 3'' rings. 18mm mouth. Stainless Steel.